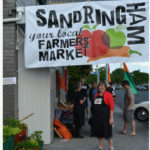 Sandringham Farmers’ Market – a great success for the community! 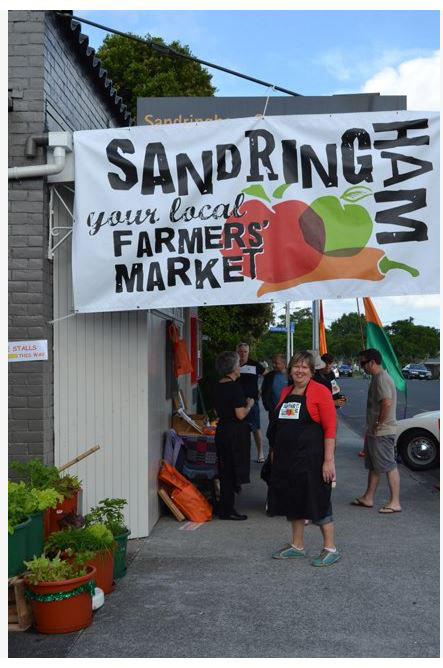 Every month, Sandringham’s farmers’ market gets its boards up around the street, and hundreds of locals come along on “second Saturdays” between 9am and 12.30 to the local community centre. The market’s run of perfect sunny Saturdays has only been broken once since it started last December! In summer, up to seven hundred came. Great bread, cheese, fresh vegetables, meats, baked goods and lunch foods, good coffee – but even better, people come to meet each other. It’s the “community bumping space” where locals run into each other and say hello, and sit out the back chatting or reading the newspaper while their children play on the playgroup equipment. At the same time small businesses, as local as possible, are fostered, and a larger range of fresh food is available for sale in Sandringham’s Little India.